Arrested since December 5, 2014, female investigative journalist Khadija Ismayilova was sentenced in September 2015 by an Azerbaijani court to 7,5 years in prison. The journalist, member of the OCCRP and known for her investigative work exposing state-level corruption in Azerbaijan, was first accused of incitement to suicide which have been replaced by new charges related to tax evasion, abuse of power and illegal business activities. The case is believed to be retaliation for exposing state corruption in her reports, which involved senior government officials including the presidential family. The RFE/RL contributor was also financially fined for legal expenses and barred from holding public office for three years. On January 21, 2016, Nils Muižnieks, the Council of Europe’s Commissioner for Human Rights has published an intervention he sent to the European Court of Human Rights regarding the case of Khadija Ismayilova. In his intervention Mr Muižnieks states that this case is “an illustration of a serious and systemic human rights problem in Azerbaijan”, which journalists, human rights activists, bloggers and other face, and which “in spite of numerous efforts by the Commissioner and other international stakeholders, remains unaddressed to date”. 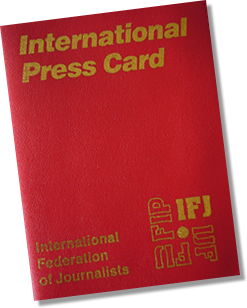 The European Federation of Journalists (EFJ) has addressed this issue several times in support of journalist Khadija Ismayilova. Mogens Blicher Bjerregård, the EFJ President, has already called to overturn the “outrageous verdict” and added that “governments should support NGOs in Azerbaijan to ensure this. 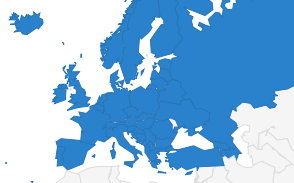 This is a task for the EU concerning the partnership countries. We demand the immediate release of our colleague Ismayilova.” Today, fully supporting the initiative of the Council of Europe Commissioner for Human Rights, the EFJ President is calling on Azerbaijani authorities to denounce the legal proceedings against her. 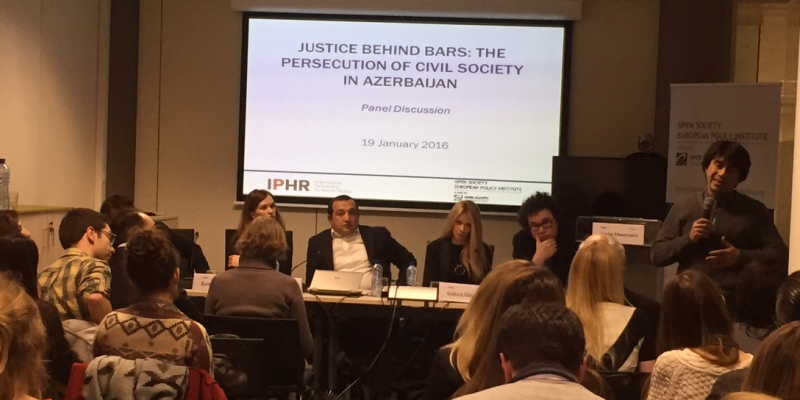 During a conference entitled Justice Behind Bars: The Persecution of Civil Society in Azerbaijan organised in Brussels on January, 19, 2016 by the International Partnership for Human Rights (IPHR) and the Open Society European Policy Institute (OSEPI), Kirill Koroteev legal director at the Human Rights Center Memorial in Moscow has explained that “Azerbaijan has the most restrictive NGO legislation among all countries of the Council of Europe. Any NGO in the country must register to the ministry of justice, all grant agreements must be translated in Azeri and submitted to the ministry, all grants are subject to VAT regulations, all workers may face prosecution for illegal entrepreneuship or forgery of signatures when they pay experts attending workshops”. 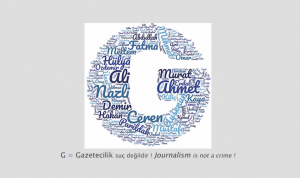 According to the lawyer, the grave accusations against journalists, lawyers and human rights activists are mainly made from this restrictive legislation on NGOs (non governmental organisations). Gulnara Akhundova of the International Media Support has called the European Union to be more consistent with the messages sent by various institutions. “Only for 2015, the EU has issued 17 statements of concerns for Azerbaijan without any practical consequences. In one case, just 2 days after the resolution of the European Parliament asking for financial sanctions, the European Investment Bank was signing a multibillion agreement with Azerbaijani officials. If you can’t fix the issue, at least don’t feed the regime. The EU should think how to help human rights defenders in or out Azerbaijan”. Emin Milli of Meydan TV critized the “selective justice system” in Azerbaijan by reminding the audience that the biggest NGO is the country is called the Haydar Aliyev Fondation managed by the first lady of Azerbaijan. Strangely, this NGO isn’t publishing any report on its income and expenses in blatant violation of the legislation without consequences.